Your Miele Vacuum Cleaner Needs To Be Tuned Up! EVERY Vacuum Cleaner needs to be cleaned & Serviced. Every time you use your Vacuum Cleaner you throw dirt in it. At some point it needs to be serviced at the local vacuum repair shop. The motor needs to be cleaned of dirt and debris. 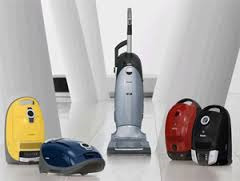 Drop your Vacuum Cleaner off at Capital Vacuums for a FREE Estimate to Clean & Service.